Ever since I was little I dreamed of running the Boston Marathon, and once I was accepted into Boston College, I was even more determined. I was beyond excited marathon morning when I entered Athlete Village. The race was going great. I saw family and friends along the course—it was high-fives and constant screaming. As I passed Boston College, friends were cheering for me. I felt I had made it—only five more miles! I was on top of the world. That was, until my roommate told me she had heard on her radio that there were explosions at the finish line. BAA volunteers did not seem concerned, just telling us that the finish line had moved. As we approached mile 22, runners started walking and police cars raced alongside of us. We realized something serious had happened and started to panic about our family and friends who we thought were at the finish line. With phone service down, I could not reach my family and began to think the worst. I finally got a text message from my sister noting that they were at mile 23. Luckily my sister decided she wanted to run the last 5k with me and convinced my parents to stop at mile 23. Marathon officials stopped the race after I passed mile 23. My phone blew up with messages from people wondering about my safety. It was not until I watched the news that I realized the magnitude of the tragedy. While I am disappointed that I did not get to finish, I feel very accomplished about the 23 miles that I ran and feel truly blessed that my family, friends, and I were unharmed. 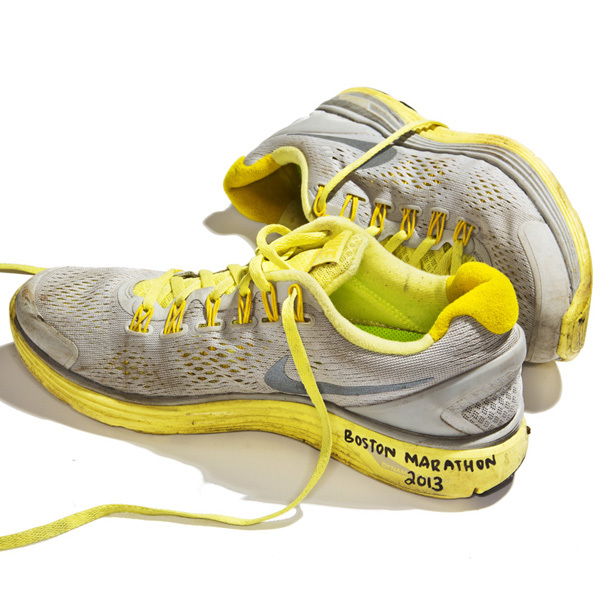 I plan to run again next year to truly finish my first Boston Marathon!